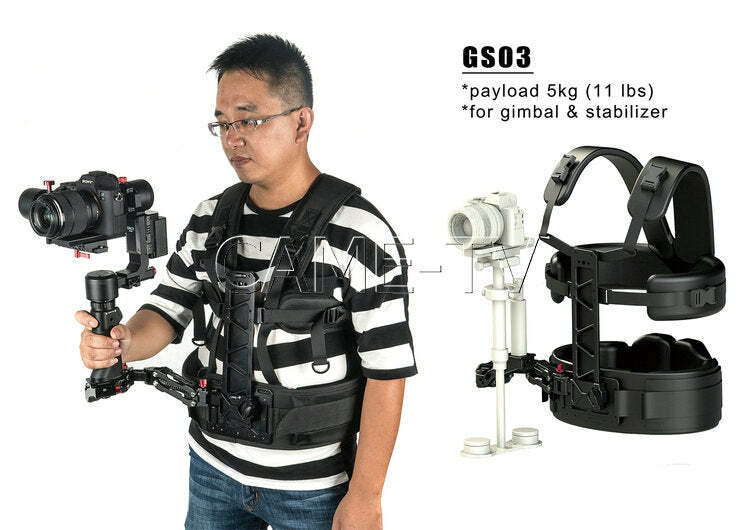 The CAME-TV support system for 3-Axis Gimbal Stabilizers such as the CAME-TV Prophet, CAME-OPTIMUS or CAME-Single. 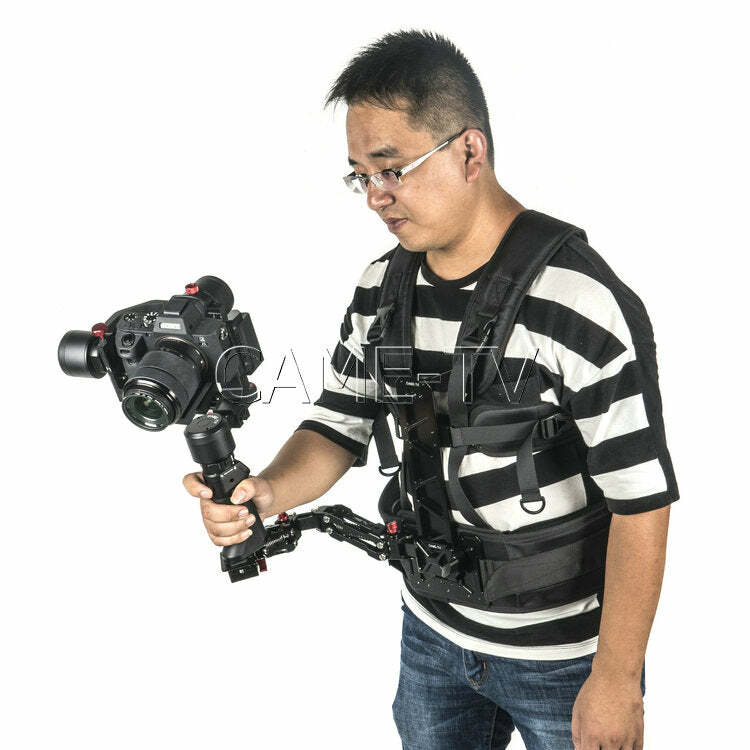 The vest in combination with the support arm takes the weight off of the operators arm and transfers it to the body allowing for longer shoots. The support arm dampens the vertical movement, virtually eliminating gait bounce. 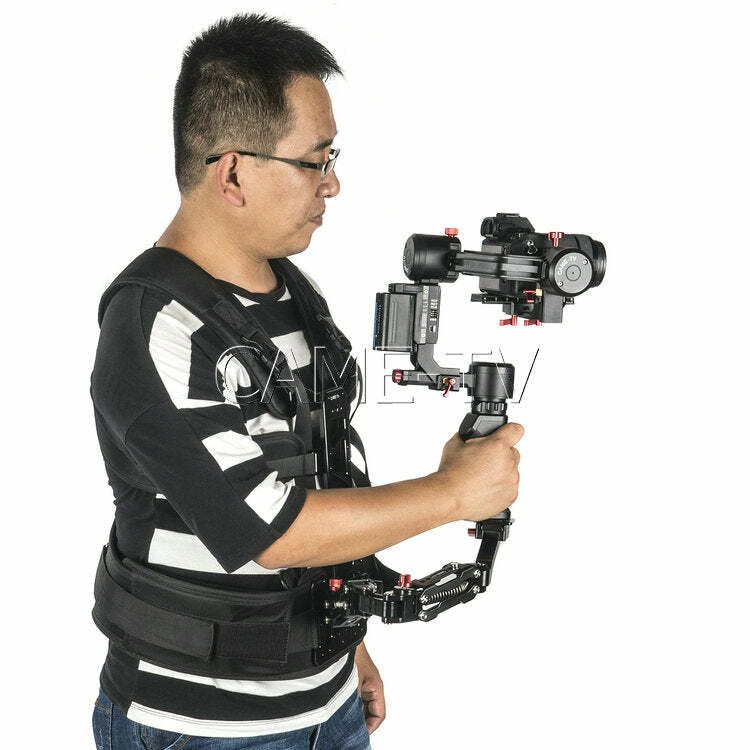 The arm has the ability to connect to either 1/4" or 3/8" connections.